When I first started this blog over four years ago, one of the first people to comment on it was a self-published author named Matthew D. Ryan. He had just written a vampire story that was not in the same class as Twilight, so he showed me some support as I aimed to self-publish a vampire story that was also not like many of the other vampire stories out there. 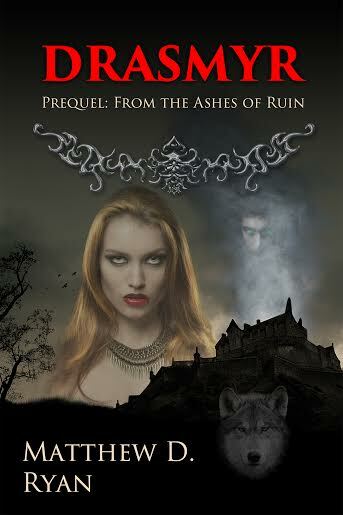 That book Ryan self-published was called Drasmyr, and it is the prologue to a dark fantasy trilogy called From The Ashes of Ruin, involving a vampire, wizards, sorcerers and so much more. 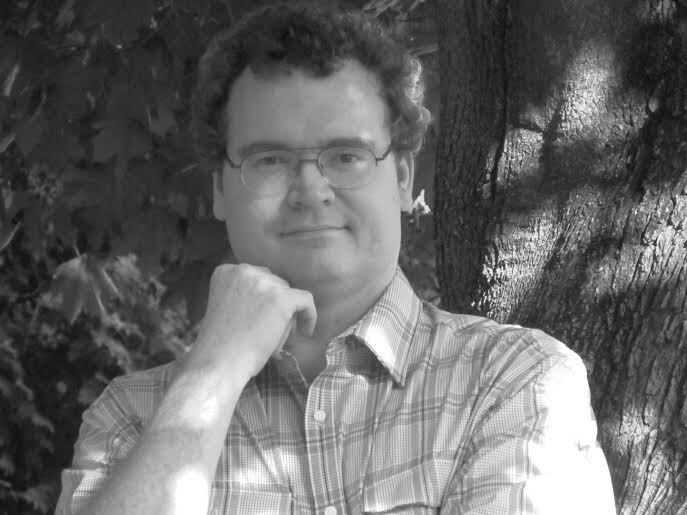 His latest book just came out, so I decided to feature Matthew D. Ryan on my blog. MC: What inspired you to be a writer? philosophy degree for). Immediately afterward, I moved to Boston to work at my brother’s cellular phone business. After a year, I decided that I didn’t want to remain in a company where I was “the boss’ brother” and I was only lukewarm toward the job, anyway. So, a friend and I did a little bit of traveling around the country. When I got back, I wrote a short story about a vampire who seeks revenge on a wizard who has betrayed him. That short story eventually became the prologue to “Drasmyr.” I shopped “Drasmyr” around a little bit, but failed to get it published at a traditional publisher. So, I put it on the back-burner and went on with my life. Anyway, that’s about the way I wound up doing what I do. MC: Why did you choose the self-published route? MDR: I tried the traditional route first a number of different times. Unfortunately, the competition is extremely fierce, particularly for vampire novels. I polished and polished and polished only to receive rejection after rejection for a variety of different reasons … or no reason at all (which is the most frustrating). Then my brother self-published his first novel. I was … envious. And it stirred my spirit up. So, I figured I’d give it a go. I even selected the same two publishing venues as my brother: Smashwords and Lulu. Oh, I almost forgot. In between the first draft of “Drasmyr” and its final publication on-line, I also wrote and self-published a short book on mental illness (I’m diagnosed as having schizoaffective disorder—which is lots of fun … Not!). But that has little to do with my fantasy career (or does it? :)). MC: Your vampire, Drasmyr, is the Bram Stoker-kind. What made you go with the traditional vampire rather than be innovative as other writers are with their vampires? MDR: If it ain’t broke, don’t fix it. No, seriously, I have has always liked the traditional conception of the vampire. Perhaps it is my fascination with evil, but I really like the conception of the vampire as an almost demonic entity. It comes with a host of powers that can be augmented or tweaked without losing its diabolical flavoring. The traditional vampire can shapeshift, pass through the narrowest of cracks, control weather, control animals, mesmerize mortals, and more. They also have an array of specific weaknesses that enrich the creature and round out its uniqueness. Although other writers feel inclined to innovate on the nature of the vampire, I feel the traditional vampire is rich enough in complexity and diversity as is. I particularly enjoy the way it threatens one’s characters with eternal damnation—something which seems to have gotten lost in many modern tales. Indeed, nowadays it seems people want to become vampires, or at least date them. And that, I find particularly strange. No, I far prefer vampires as embodiments of evil. And the Bram Stoker conception of such is just hard to improve upon without radically changing the creature in unnecessary ways. So, why not keep it as is, tweak it occasionally, but only if necessary. That’s the vampire I like. MC: What is it about dark fantasy do you think is appealing to readers? MDR: It’s a mix of horror and fantasy, two genres dealing with impossible, or at the very least, improbable situations and creatures. It can be used to blend magic and evil in fascinating ways. Courtesy of fantasy, both the foes and the heroes can be augmented in spectacular, intriguing ways. Yet, even so, the darker element allows for the sense of the macabre and horrific. Because it is dark fantasy, it is a way to reign in the power of fantasy’s super-humans. They become, in spite of their augmented abilities—like spells and magic weapons—as imperiled and vulnerable as we sometimes find ourselves in modern life. In that way, it becomes something of a cathartic experience, yet it still satisfies a yearning for the fantastic. MC:Is there anything that you did while self-publishing that you wouldn’t do again? If so, why? MDR: That’s easy, although my answer would apply the same if I had gone the traditional route. I would not have started my writing career with a series. I would have written a number of stand-alone novels first. Although I really enjoyed writing my novels, they, with the exception of “Drasmyr,” all tell a single contiguous story. Only “Drasmyr” could be regarded as anything approaching a stand-alone: It ends leaving the reader with something of a sense of closure, yet a suspicion that there may more to come. The others, though, are written as cliff-hangers. I only intend to write four of them, so they won’t inconvenience readers’ sense of closure too much. I’m on the third (or the fourth, if you include “Drasmyr”) such novel, so I’m getting near the end. Anyway, in terms of brand exposure and sympathetic tendencies toward the reading public, I think advertising efforts might be more lucrative if I had limited myself to one-shot stories. In other words, the fact that it’s a contiguous series makes it more difficult to schedule blog tours—since some touring companies might not schedule book 3 in a four book series because it’s not a complete story—and to take advantage of other similar advertising venues. If I had to do it over, I would have done my next series—which I intend to consist of five stand-alone stories– first. Looking back, it seems to be almost a kind of hubris to start writing with a contiguous series spanning several novels. It’s a lot of extra work developing a series instead of single tale. But it’s fun, and I enjoy it, and I intend to keep at it. MC: What is next for your series? surprise. But I’ll give you this much: Gaelan’s internal struggle continues as he grapples with his burdens and prepares to undertake his self-appointed task, a task that may yet destroy him completely. Coragan and his group continue with their struggles as they undertake a dark quest in a forbidding realm: Morgelliard, the planeshard holding Morgulan’s ancient, impregnable fortress known as simply The Citadel. 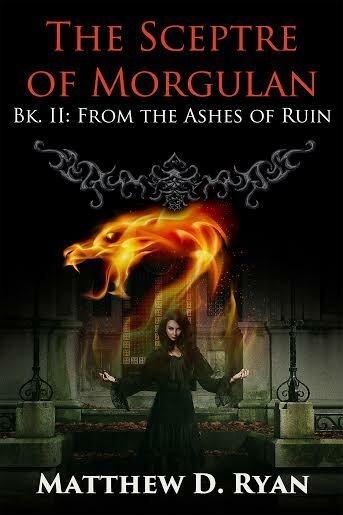 Korina continues her own machinations as she closes in on the Sceptre of Morgulan. Meanwhile, back in Drisdak, Ambrisia, Regecon, and Galladrin prepare to engage the dark cult known as The Children of Lubrochius while at the same time, playing a dangerous game with the other powers of the city: the nobility who rule during the day, and the Shadowhand that comes out and rules the night. All these threads intertwine and play off of each other like a castle’s ancient tapestry: the whole, far, far more than the sum of its many parts. The Sceptre of Morgulan: VW73X.